We are delighted to welcome another new guest to All Things Georgian: William Ellis-Rees. William is a Classics teacher with a serious sideline interest in researching and writing on lesser known historical topics. Having published articles on various subjects in Country Life, Garden History and the gardening journal Hortus, he is now about to publish a book on Josephine Bonaparte, which, far from being a full-blown biography of the Empress, sheds light on a fascinating corner of her life and William is also working on another book, in which he returns to nineteenth-century London and its environs to tell the true story of a tragedy that shocked the nation. 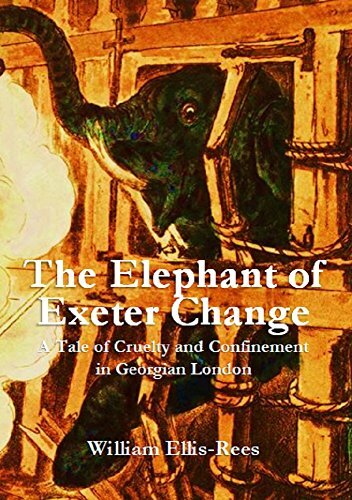 Today, William is here to tells us a little more about his book, The Elephant of Exeter Change: A Tale of Cruelty and Confinement in Georgian London, which is available from Amazon as an e-book (follow the highlighted links to find out more). With that, we will hand you over to William to share some more information. 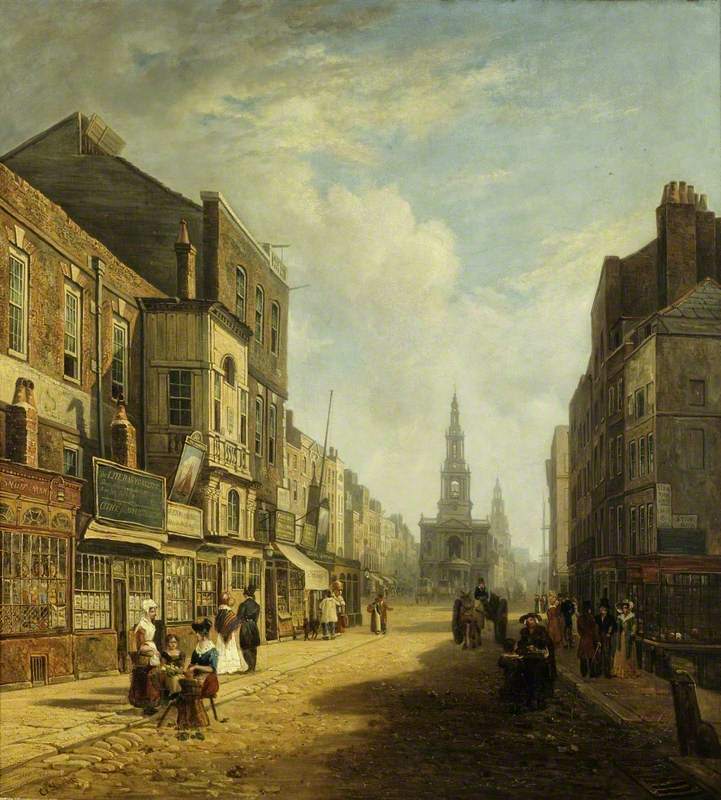 The Strand, Looking Eastwards from Exeter Change, London by Stanley, Caleb Robert. Museum of London. 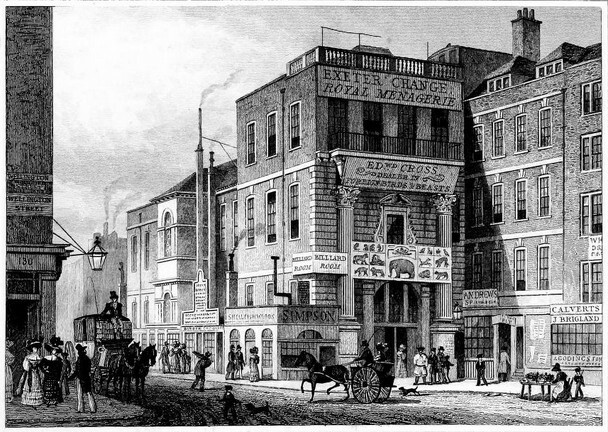 How odd to think that a restaurant and a coffee shop in London’s Strand, almost opposite the Savoy Grill, were once the ramshackle building known in the early nineteenth-century as Exeter Change. At street level the Change—short for “Exchange”—comprised a jumble of shops and stalls selling walking sticks and umbrellas, suitcases and saddles, corkscrews and combs and any number of other useful items. Above these was a menagerie, and even now, long after I started work on this hidden corner of London history, the bizarre notion of caged animals floating above a crowded city street surprises and delights me. The elephant at the heart of the story travelled to England from Kolkata (Calcutta at the time) on board an East India Company ship in 1811. The ship’s captain, Robert Hay, who had been horribly injured in an encounter with French warships off Mozambique, was an honourable man, and he kept a protective eye on the elephant even after he returned and sold it to a theatre. The London stage was the elephant’s first taste of fame, but its unwelcome celebrity was only truly established when in 1812 it passed into the hands of Stephen Polito, the owner of the menagerie at the Change. The animals in the room above the Strand not only entertained and frightened the paying public: they also satisfied a curiosity about the world that lay beyond England’s shores. 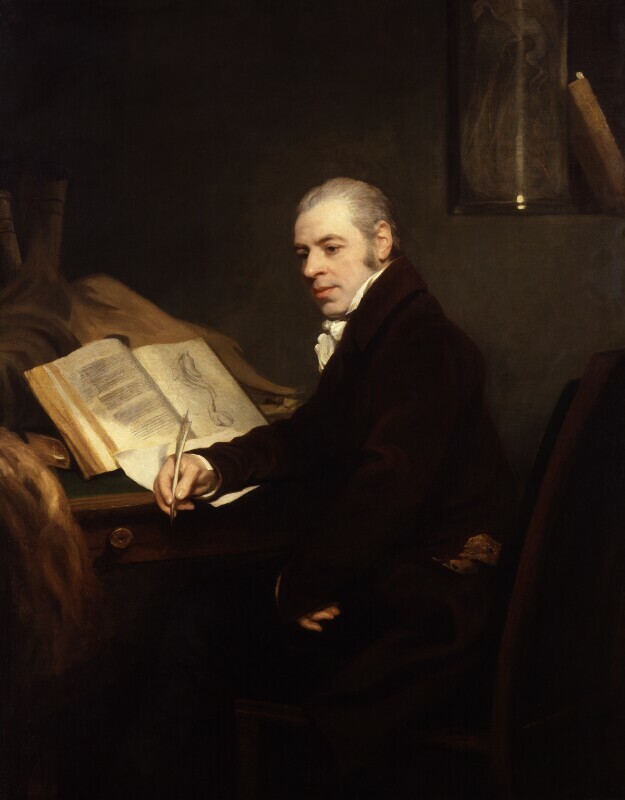 Stephen Polito, and the man who took on the menagerie in 1814, Edward Cross, were a distinctly nineteenth-century phenomenon. Whereas they presented themselves as respectable businessmen, and scientists of a sort, others regarded them more accurately as dealers and showmen. Polito and Cross certainly knew about animals, but they were not exactly naturalists: they were motivated by profit, and their exhibits were kept in cramped conditions, and were often treated cruelly. Even so, the taste for the exotic they profited from cut across many social divides, and Cross in particular, in his capacity as an importer and supplier, enjoyed the patronage of a number of highly distinguished clients. So when he was snubbed by the London Zoological Society, who refused to buy his animals, he founded a rival establishment in what is now South East London with the help of powerful backers. 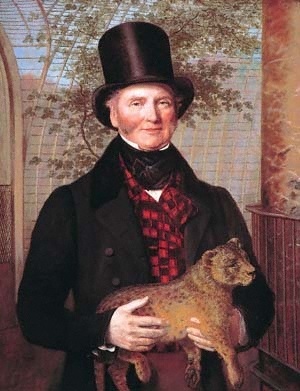 There is a splendid portrait of Cross in his sixties, with a lion cub in his arms and a silk top-hat balanced on his head. He had transformed himself from Georgian impresario into early Victorian man of means—quite a success story. 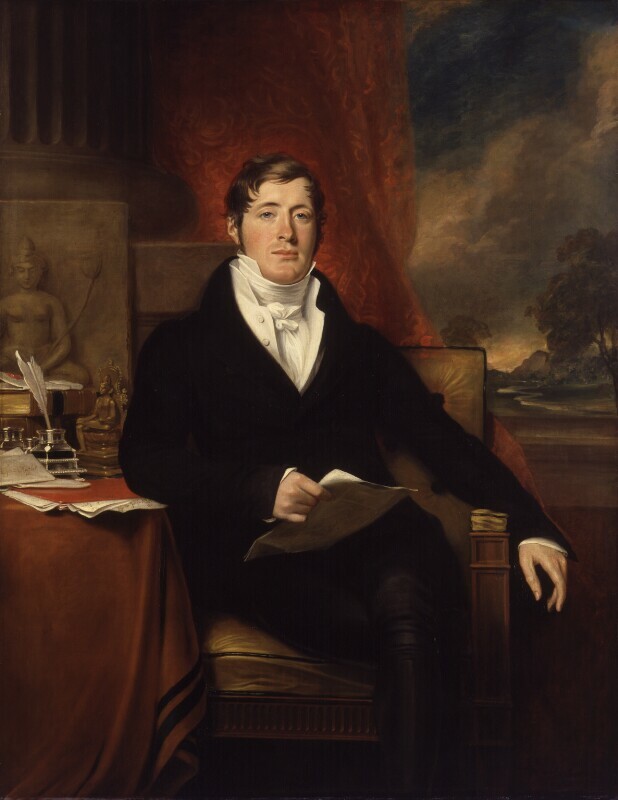 On the subject of the London Zoological Society, an important figure in the story is Thomas Stamford Raffles. Although principally known to history as the founder of colonial Singapore, Raffles was also the prime mover of the new zoo, the birth of which in 1826 was not unrelated to the elephant’s tragic end. And it is at this moment that the extraordinary Joshua Brookes makes his entry. Brookes was a renowned London anatomist, although his image suffered from his dealings with the notorious resurrectionists. For details of his unique contribution to the story, I would like to refer you to my book, The Elephant of Exeter Change! Suffice it so say that Brookes found an unexpected solution to the problem of an elephant that had grown—as all young elephants do in time—to a colossal size. In conclusion, researching the events of 1826 was a fascinating task: they were widely reported in newspapers and journals, and the commercial illustrators enjoyed a field day. But the elephant left other traces of itself—in playbills, in a jingle advertising boot polish, in a drawing-room song. There is even a small but gruesome relic in a museum in East Anglia. The real discovery, though, was the cast of characters: the elephant itself, the one or two heroes and the several villains, and last, but by no means least, the ever-changing backdrop to a story that begins in the Indian Ocean and ends in some of the darker recesses of Georgian London.